Love is sweet at Tiff’s Treats. January marks the 20th anniversary year of business for Tiff’s Treats, the original warm cookie delivery company that started in a college apartment at the University of Texas in 1999. 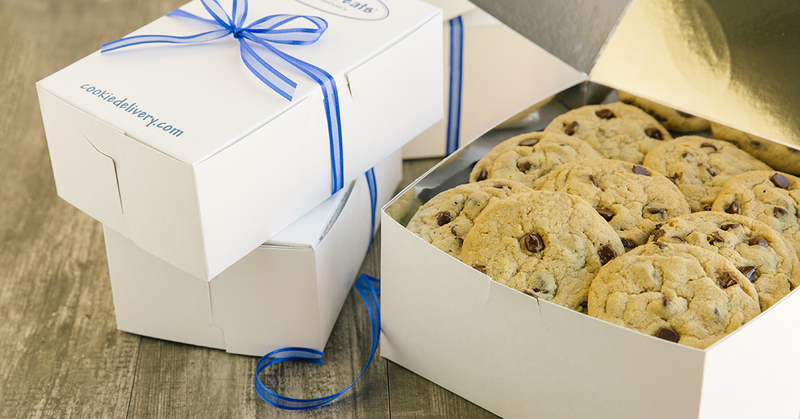 After college sophomore Tiffany Taylor baked and delivered warm cookies as an apology to Leon Chen for standing him up on a date, the idea for warm cookie delivery was born! To honor this milestone year and the company’s sweet success, Tiff’s Treats is doing something that has been inherent in the company’s brand philosophy from its earliest inception; giving back. As a company that has always been very community centered and philanthropically driven, they will team up with participating non-profit organizations within the communities in which their 46 stores are located, to share 10% of the sales from every box of cookies sold throughout January. Participating charities were selected from a submission process in December 2018 which commanded a fantastic response. Just a few of the many organizations include: The Andy Roddick Foundation, Girl Start, Patriot Paws, local chapters of Habitat for Humanity, Make-A-Wish and Big Brothers Big Sisters, to name a few. In addition to donating a portion of sales to these organizations, Tiff’s Treats will also be rewarding the one organization with the highest sales in January with a $20,000 grand prize cash donation. “Giving back to charity has been an important part of our company’s DNA from early on,” shares founder Tiffany Chen. “Every single store grand opening event over the past 20 years has benefited a local charity important to each community”. In 2018 alone, Tiff’s Treats has donated nearly $300,000 in cash, gift cards, and cookies to charitable causes that they feel a connection to. “To honor our 20th year in business, we couldn’t think of a more meaningful way to acknowledge our love and gratitude than by giving back to the people and communities which have cheered us on, supported us and have been loyal cookie lovers” shares co-founded Leon Chen. Things have certainly changed a lot since Tiffany and Leon’s early start up days of baking and personally delivering warm cookies to college students at the University to Texas. However their recipe for success and the company’s commitment and integrity to delivering delicious, warm, freshly baked cookies has never waivered. Tiffany and Leon Chen who started the business as college sweethearts are now married with two children and run the operation out of their 12,000 square foot corporate headquarters in Austin, TX. The company now has 46 locations throughout Texas, Tennessee and Georgia with 13 more stores on the way in 2019 in existing markets plus one brand new market that will be announced shortly. Tiff’s Treats now employs 900 people, with some of top management from the original start up days. Technology has played a major role in the company’s ability to flawlessly service thousands of orders placed each day from each of their retail operations. And while Tiff’s Treats has embraced an almost cult-like following for their warm cookies that are delivered on demand to your doorstep, there are major plans for expansion as they embark on this exciting next chapter. “We are very excited to continue to expand our presence in current markets as well as grow the brand nationally” shares Leon Chen. Tiff’s Treats created the warm cookie delivery concept. Tiff’s Treats makes and delivers classic, baked-to-order cookies and brownies straight from the oven to the home or office, WARM, in about an hour. Founded in 1999, what started as two friends baking cookies at University of Texas at Austin to help fellow students get through exams has now grown to 46 stores in Texas, Georgia and Tennessee, with more than 900 employees, baking more than 100 million cookies since its inception. And the company is consistently focused on giving back: with grand opening fundraisers that fill needs for charities (and hungry bellies for Tiff's Treats fans! ), Tiff’s Treats has donated $150,000 to worthy causes. For more information, please visit http://www.cookiedelivery.com.